Though the law sounds like it would help teaching of science in the state, it really was nothing more than an attempt to get creationism (along with global warming denialism) taught in Louisiana’s public schools. Creationism refers to the belief that the universe and everything in it were specially created by a god through magical , rather than natural, scientifically explained, means. Creationism implicitly relies on the claim that there is a “purpose” to all creation known only to the creator. In other words, creationism is a religious belief, and no matter what argument is made (and I could write 50,000 words on the topic), creationism is not science because it relies upon a supernatural being, which means it can never be falsified, one of the basic tenets of the scientific method. 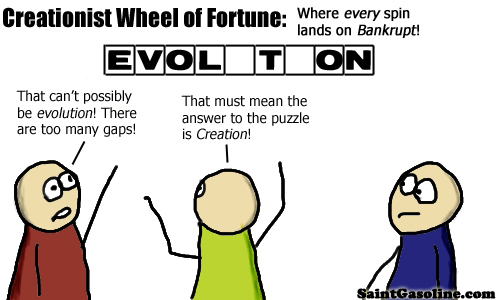 The supporters of creationism attempt to claim that creationism is a scientific theory on the level of evolution, ignoring the fact that a scientific theory is “a well-substantiated explanation of some aspect of the natural world, based on a body of facts that have been repeatedly confirmed through observation and experiment.” Creationism is generally based on a fictional book. The Establishment Clause of the First Amendment to the United States Constitution, specifically prohibits any government entity from establishing a religion (which courts have ruled to include teaching religion in schools). Decades worth of Supreme Court rulings have found that teaching creationism in schools is equivalent to teaching religion. As recently as 2005, in Kitzmiller v Dover Area School District, a Federal Court continued the tradition of considering creationism as religion, and ruled against a school district, costing the Dover Area School District nearly $1 million in legal fees. That money probably could have been used to teach their students better science. What we can assume will happen in Louisiana is that a school district will decide to teach creationism in a school district, a few parents will complain, and sue this district. It will be struck down in a lower court, the school district will appeal, and that district will eventually lose. Because in the history of trying to teach creationism in schools, all cases have favored the Establishment Clause and denying the school district the ability to provide a religious education. But then the scientists organized. The Louisiana Coalition for Science was able to stop two new efforts that might have furthered the teaching of creationism Louisiana classrooms after the passage of the Louisiana Science Education Act. First, they convinced the Louisiana Board of Elementary and Secondary Education to adopt new biology books after creationists attempted to have the books thrown out. Then they also succeeded in killing a Louisiana House bill (HB 580) which was meant to weaken the Board of Elementary and Secondary Education’s oversight of public school biology books and supplementary materials. And then there’s recent Louisiana high school student, Zack Kopplin, who has taken it upon himself to repeal this law. And challenging Republican presidential candidates, but that’s another story. He has spearheaded the effort to block the changes in textbooks to creationist versions, helped the New Orleans school district to ban creationism, and assist progressive Louisiana state legislators in trying to repeal the law. Not bad for a college sophomore. Karen Carter Peterson, a Louisiana state senator, has introduced Senate Bill 26 (SB 26), which would repeal the Louisiana Science Education Act. She had proposed the same exact bill in 2011 and 2012, but both failed to be voted out of committee. According to Zach Kopplin, “we believe that this spring we can muster the votes we need to pass.” Given his record of success, I’ll go along with his optimism! As opposed to what the Republicans in Louisiana believe, there are no controversies with regards to evolution or climate change. Those theories are well established and are accepted by a broad consensus of scientists in the field. Even with abiogenesis, the theory of the beginning of life (which is not covered by the theory of evolution), the only controversy is in the exact mechanism, not in the fact that life arose out of basic chemicals and energy approximately 3.5-3.9 billion years ago. If someone wants to create a “scientific controversy” in these theories, they must bring scientific data and analysis from a world class laboratory staffed by world-class Ph.D-level scientists with that data published in a world class journal, subject to repetition, analysis and criticism by other scientists in other world class laboratories. A clueless politician in a right-wing state does not get to invent a “scientific controversy” by saying one exists. In other words, these science denialists must get off their lazy butts, and give us scientific evidence that contradicts what we know today. Rhetoric and invented controversies don’t count. And let’s support Senator Peterson and Mr. Kopplin. They’re swimming upstream in a dark red state, maybe rational minds will prevail!